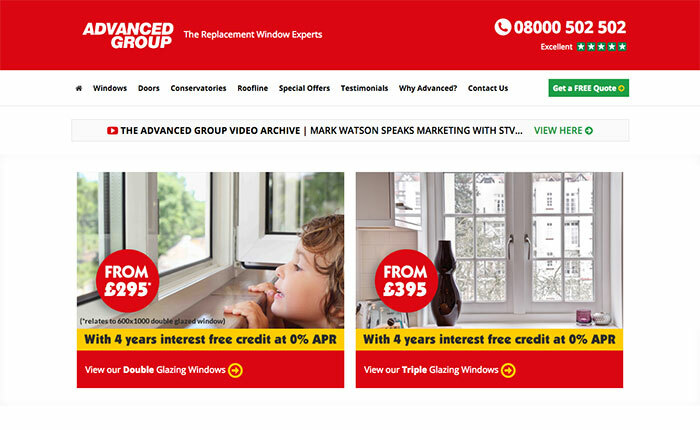 The Advanced Group is one of Scotland’s suppliers of uPVC products like double glazing windows and conservatories. 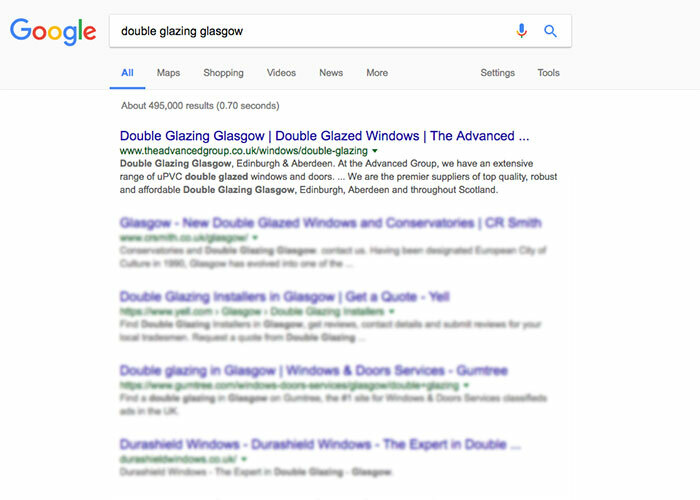 The Advanced Group asked us to redesign their existing site, so it matched their offline and TV marketing, so it was easy for people to find their services in Google, and so that users could find the products they needed with a couple of clicks. The first step was user testing their existing site. 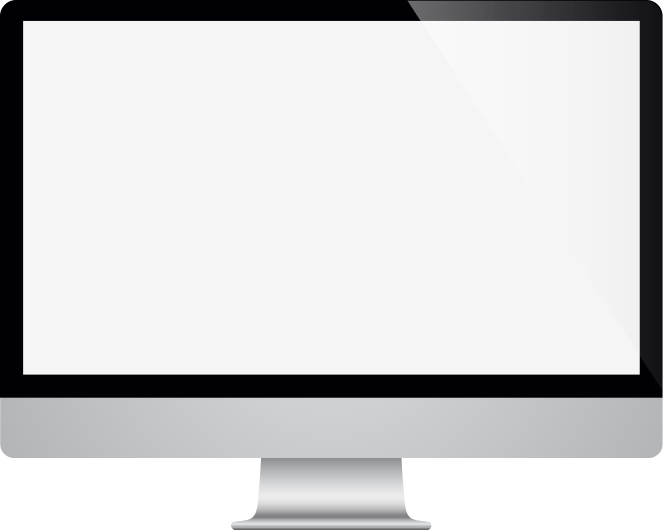 User testing is a method used to see how something is to use by testing it with real people who would use the site. We asked a suitable sample of users to complete a list of tasks, while being filmed, to see where they faced difficulties and encounter confusion. The more people who confronted similar problems, the more recommendations we could make to overcome these usability issues. Reworked the navigation, so it was easier for customers to find the product they needed. Moved the prices and benefits at the top of the page, so users could get the information they needed straight away. Reduced the multiple contact numbers to one 0800 one, as having too many options were confusing the customer. The next stage was to optimise the site’s On-Page SEO. On-page SEO is the process of optimising your web pages to rank higher and gain more relevant traffic on Google. On-page relates to both the HTML source code and the content of a page. We also worked on Advanced’s Off-Page SEO, too. Off-page SEO refers to the steps taken outside of your website, which help boost your rankings on Google. We optimised Advanced’s Off-Page SEO by improving Google’s opinion of the site’s authority, relevance, popularity, and trustworthiness by linking to other reputable places on the Internet (pages, sites, people, etc). Through the design improvements, which we based on our user testing results, we increased conversions on the site. And through improvements to the On-Page and Off-Page SEO, we ranked Advanced on page one on Google for their relevant keywords.